AGENSO as the partner responsible (Work Package Leader) for the Dissemination, Communication and Exploitation of H2020 OchraVine Control Project, publish today the official project site (http://www.ochravine.eu/). 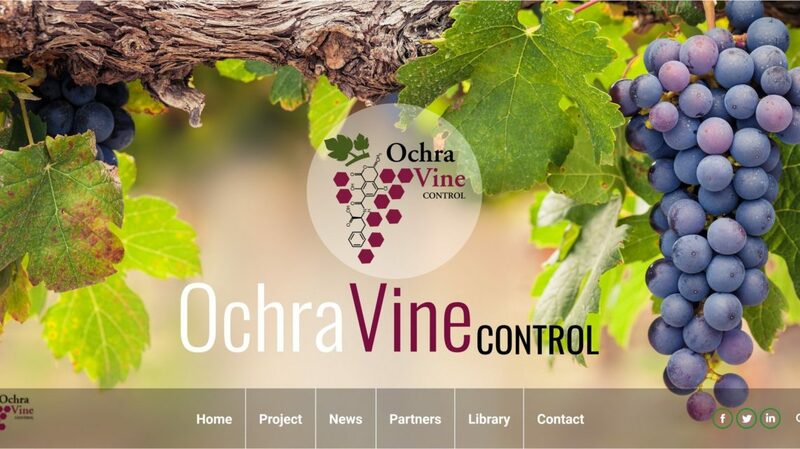 OchraVine Control project aim is to offer an inexistent innovative, sustainable and integrated smart ICT solution (OchraVine Control DSS) considering fungal, host and environmental indicators that affect OTA contamination along the vine grape-wine value chain. The OchraVine Control DSS will allow prediction and monitoring at pre- and post-harvest level to control Aspergillus infection and OTA contamination in vine cultivation by combining epidemiological data, biological and chemical management strategies, post-havrest technologies and precision agriculture tools.